In Uitenhage you can still find buildings from the 1800s in their original form. The Old Drostdy Museum built in 1809 is now the home of the Uitenhage Africana Museum. It is the ideal setting through which to experience the history of Uitenhage. 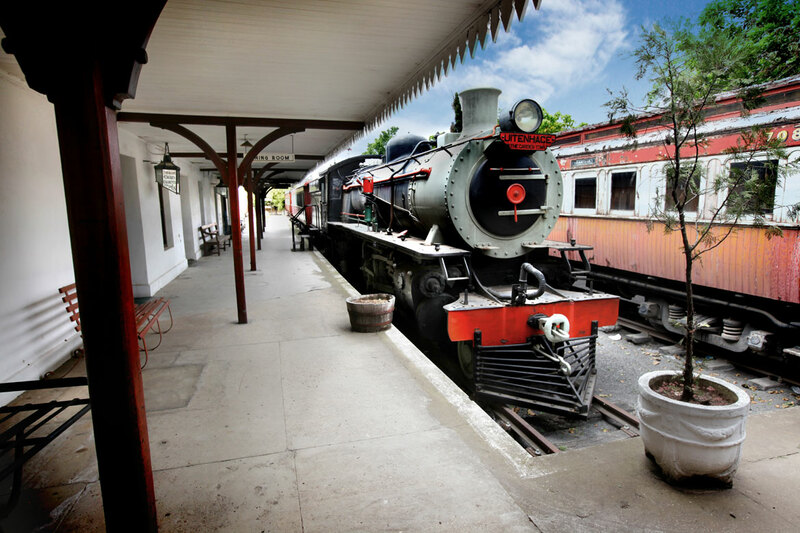 The Old Railway Station built in 1875 which is reputed as one of the oldest railway stations in South Africa is another historical attraction found in Uitenhage. Vintage locomotives, a variety of coaches and period furniture and equipment are on display in this museum. The Cuyler Manor Museum is a living museum that arranges demonstrations of traditional activities like soap and candle-making, baking and weaving. The Groendal Wilderness Reserve is also situated in Uitenhage. The reserve is the perfect place to go on a hike or have a picnic while listening to the birds singing. Known as the Garden Town, Uitenhage was first a farming community on the banks of the Swartkops River. Now it is a thriving commercial and industrial town but has managed to keep its picturesque beauty.